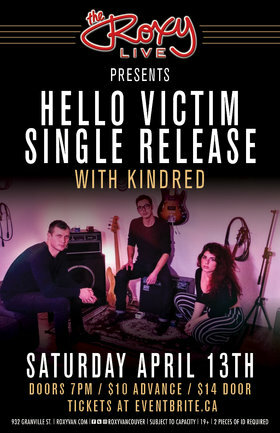 Hello Victim are an indie electropop three-piece hailing from Vancouver, BC. Gleaning muse from modern dance-pop and 80's synth, the band has focused on creating a palatable yet original, challenging, and iconic sound. 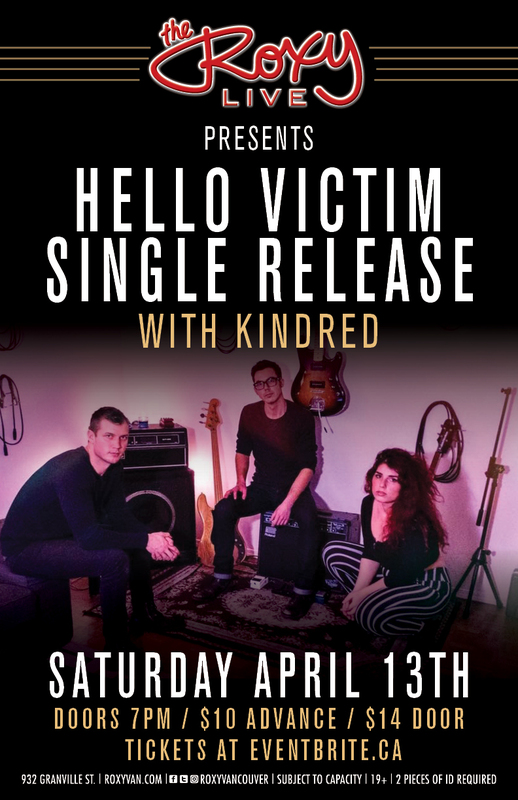 Combining dark, moody lyrics with musical sensibilities rooted in groove that demands movement, Hello Victim have set out conquer personal and relatable adversity with honesty and dance.